Last night we finished off the first baby quilt top. This was where we left off last week. 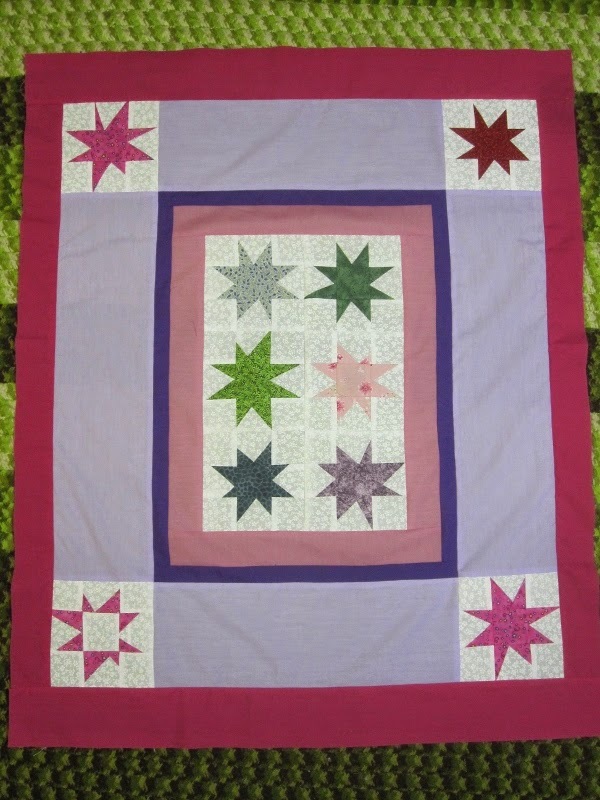 The mauve borders and the rest of the small stars were added. We always audition our fabric on the floor and here we have the two pinks. I really didn't want to add yet another strip and there really wasn't much left of the lighter pink. I thought this was much better but we didn't need that much width. So we decided to add two inch finished borders on the sides and three inch borders on the length. Done. Finished. We are quite happy with it. I think it finished at 36" X 40." We even managed to find backing fabric. 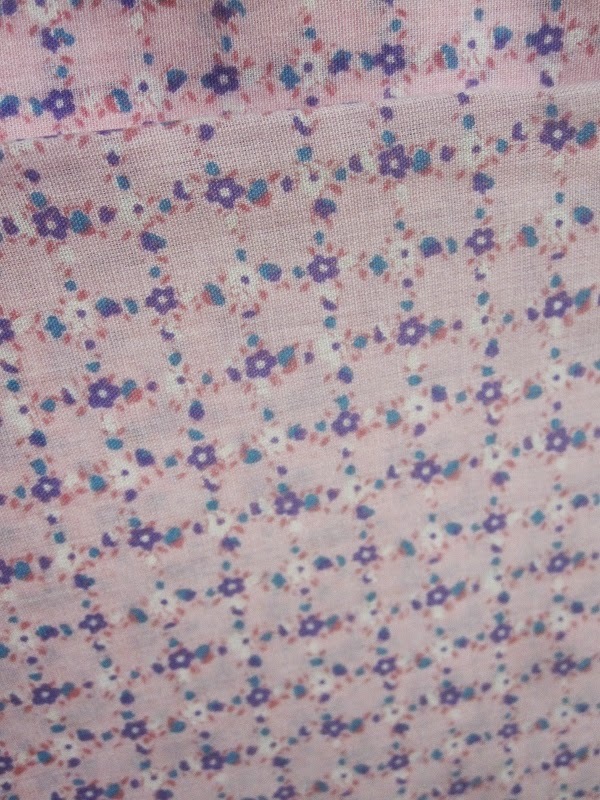 This is actually quite a nice pink and it has purple flowers. Next week we will be making these three big stars into a baby quilt. Those are some of the fabrics that we chose. 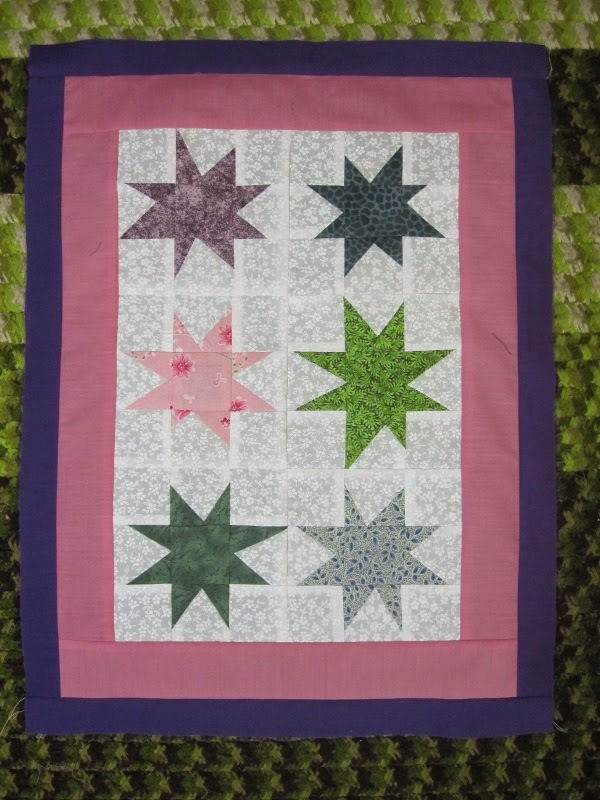 Since the stars are roughly 12 inch squares, we will be adding a bit more white onto the sides before we start adding borders. 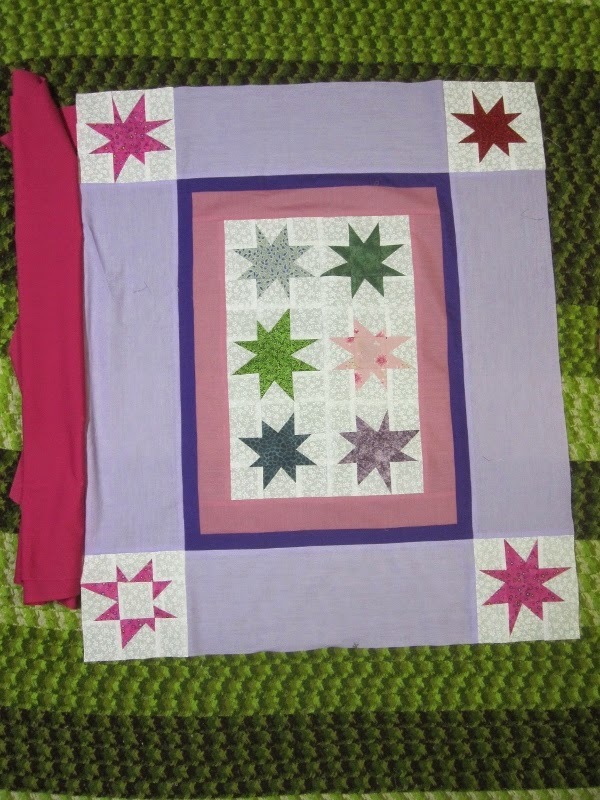 The broadcloth will probably become a thin border just like the purple in the previous quilt. We may even use it for backing, cutting it wider so we can then bring it to the front to bind it. It will save us that one extra step of cutting and sewing on binding. We used to do it quite often in years past. That turned out great! A very good cause. Someone is going to love it! 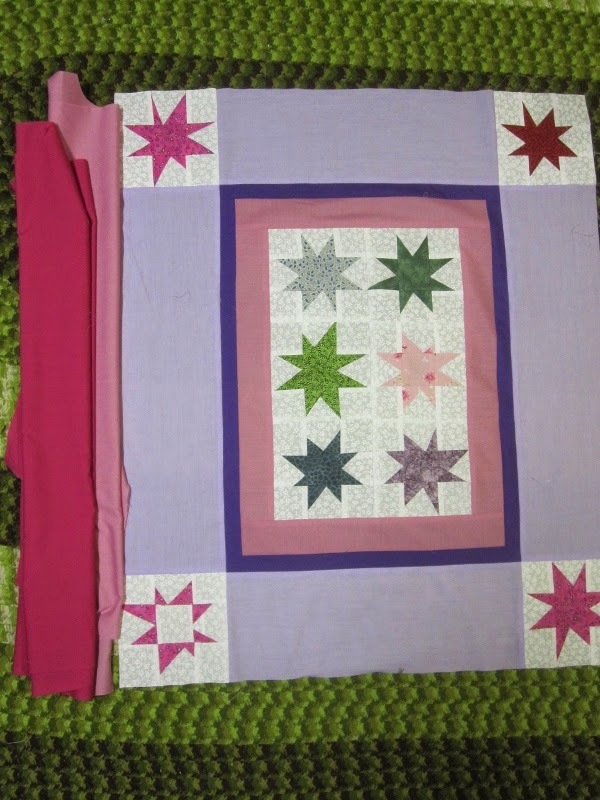 The baby quilt is delightful. 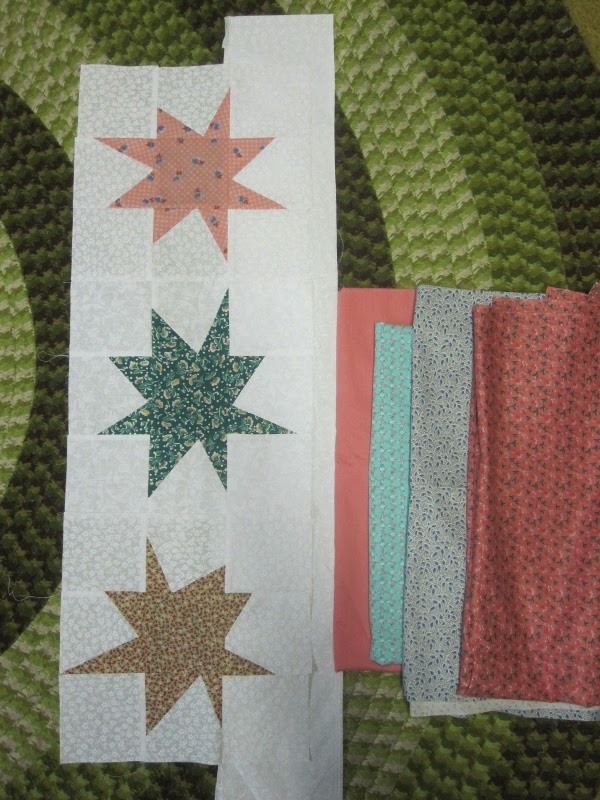 I look forward to seeing the finished large star quilt. I enjoyed watching this come together, lovely! I think you made some great choices , the quilt looks sweet .